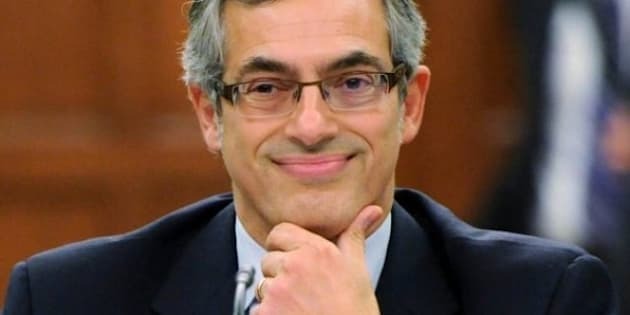 OTTAWA - Tony Clement sought Wednesday to put an end to controversy over the $50-million G8 legacy fund, appearing before a parliamentary committee to answer any and all questions from opposition MPs. But the Treasury Board president's performance shed little new light on the affair and did nothing to quell opposition allegations that the money was little more than a political slush fund for Clement to dispense as he saw fit around his Parry Sound-Muskoka riding. "I believe that my record is a good record, it's an untainted record. It's a record of probity and honesty," Clement told the committee. "I try to do my job the best I can for the people who've not only elected me but for the people of Canada and I will continue to do so in my new role as president of the Treasury Board." Clement was industry minister when the money was being handed out to municipalities in his Ontario riding, which hosted last year's G8 summit. Almost $45 million was ultimately spent on gazebos, park upgrades, public washrooms and beautification projects, often many kilometres away from the actual summit site in Huntsville, Ont. He has since been named Treasury Board president, where he's in charge of overseeing government spending as it attempts to eliminate the federal deficit by 2014. New Democrat MP Charlie Angus said Clement's handling of the legacy fund proves he's not competent to manage the federal treasury. "You got your hands on $50 million of border infrastructure money. You blew it on projects like hockey arenas and summit centres, you told your mayors to keep their lines straight, let's not talk to the media until we get the story out," Angus said. "Mr. Clement, simple question: Why should Canadians trust you with the $250 billion that you're now in charge of?" Clement's appearance before the committee Wednesday marked the first time in months he's actually responded to questions from MPs about the legacy fund. In the Commons, Clement has remained seated while Foreign Affairs Minister John Baird fields all queries. Baird attended the committee with Clement and answered some questions. As infrastructure minister at the time, he insisted he was the only one with legal authority to approve the 32 projects which ultimately received legacy funding. He made no apologies for projects that had little bearing on or proximity to the summit. He said criteria for legacy funding was not just to support staging of the summit but also to beautify the area and thank the region for hosting the international event. "The G8 legacy fund helped an already beautiful part of Canada put its best face forward to the world," Baird told the committee. The legacy fund has been the subject of controversy since a draft of former auditor general Sheila Fraser's final report was leaked during last spring's election campaign. The leaked draft said the government misled Parliament and possibly broke the law by seeking parliamentary approval for a border infrastructure fund, without telling MPs that $50 million of it would be devoted to G8 legacy projects. It also said federal officials were shut out of the process of choosing which projects would get funding. The final report, released in June, was toned down somewhat but the conclusions were the same. Acting auditor general John Wiersema has said rules were broken and that he's never seen such a complete lack of paper trail to explain how projects were chosen. Clement and Baird admitted Wednesday only to some well-intentioned administrative errors in setting up the fund, prompted by the need to speed things up and get projects finished in time for the summit. But they vehemently denied opposition allegations of porkbarrelling. In one snippet of new information, Baird said the government did not rob the border infrastructure fund to pay for the legacy projects. Rather, it topped up the border fund so that the additional money could be applied to the legacy projects. He reiterated that he acted on the advice of senior bureaucrats that it would be faster to use the existing border fund than to create an entirely new legacy fund. Clement explained the absence of a paper trail, saying he asked mayors in his riding to come up with proposals for the legacy funding. They came up with 242 projects, which he estimated would cost some $500 million, so he asked them to pare their wish lists to only the priority projects. They came back with 33 proposals, 32 of which were approved by Baird. In hindsight, Clement said he probably should have forwarded all 242 proposals to Infrastructure Canada and allowed the department to review them and choose the best. Liberal MP Gerry Byrne was incredulous at Clement's suggestion that roughly two dozen mayors "self-evaluated" their conflicting wish lists and, "with surgical precision" came up with 33 projects, all but one of which was approved. "That's amazing ... Wow," Byrne said sarcastically. But Clement rejected Byrne's suggestion he was the "guiding hand" behind the choices. "I know that there's this mythology ... that I was at a bar somewhere in Muskoka with two other guys making the decisions," Clement said. "That's just a myth. It never happened that way. We were not involved in selecting the projects." Clement said he simply played a "co-ordinating role" between his local officials and the federal government but had nothing to do with choosing the projects. Opposition MPs didn't buy it, pointing to reams of municipal documents and emails gleaned through provincial freedom of information legislation that show Clement was deeply involved in scripting how, when and where funding announcements were made. He was also involved in ensuring at least one project — a renovated recreation centre in Huntsville — was chosen to be the international media centre, although it was never used for that purpose. Angus told reporters later that his party has obtained 1,000 more pages of municipal documents, which it is sifting through now.